In 1923, Kennedy devised a system that became popular due to its simplicity and ease of application. A tremendous number of possible combinations can be reduced to four simple groups. 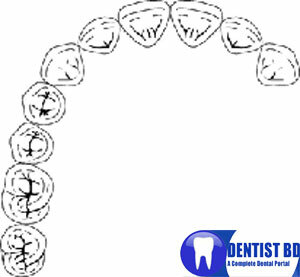 Class I – bilateral edentulous areas located posterior to all remaining teeth. 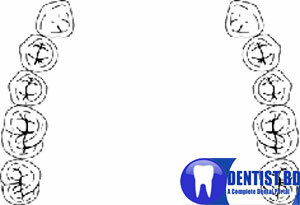 Class II – unilateral edentulous area located posterior to all remaining teeth. 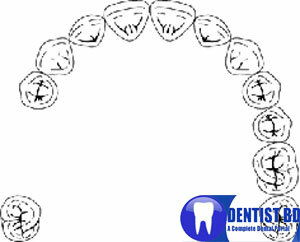 Class III – unilateral edentulous area bounded by anterior and posterior natural teeth. 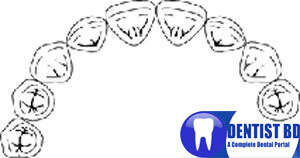 Class IV – a single, but bilateral (crossing the midline) edentulous area located anterior to remaining teeth.